Actually, it was about a day-and-a-half. The first day we took a tour of the city that Hiro arranged for us. 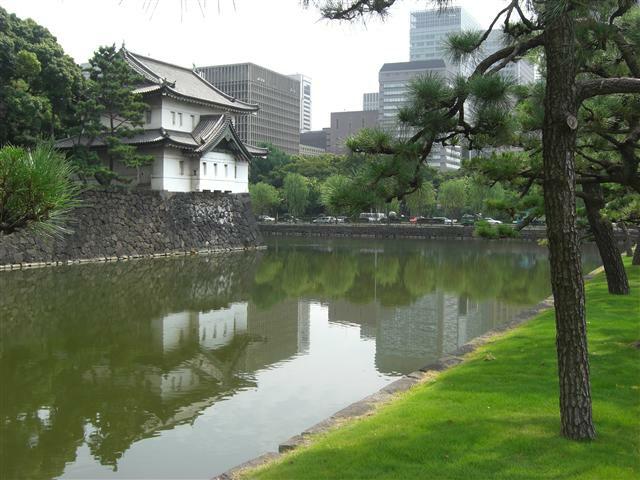 We saw the Imperial Palace—from outside the moat. Our guide told us that the palace grounds cover more that 200 acres "for just two persons," a remarkable fact considering that Tokyo is one of the more densely populated spots on Earth. 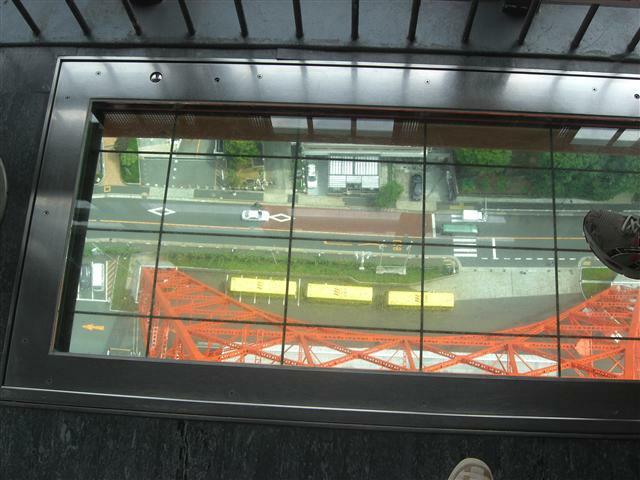 Tokyo Tower gave us this unique view through the floor of the viewing level. Buses are parked hundreds of feet below. 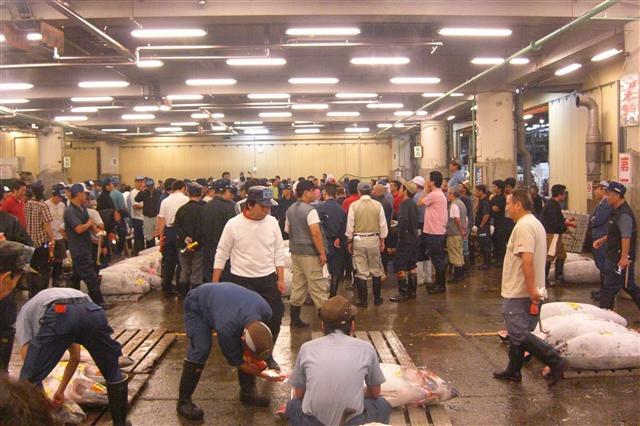 A veritable beehive of activity, if it floats, swims, or even naps next to the water, they sell it at the world's largest wholesale fish market. Tradition has it that after you watch the stock market-like auction of human-sized tuna, you enjoy sushi breakfast at one of the many restaurants on the grounds.